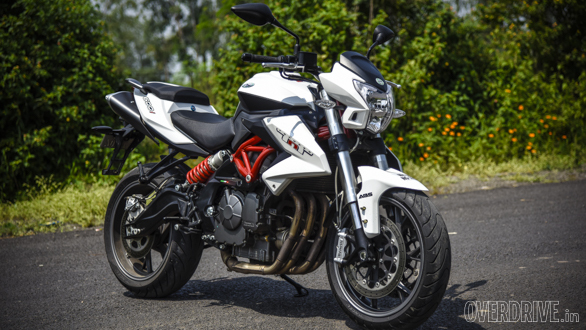 Let's say hello to the TNT 600i again. It uses the R6-derived 600cc, inline-four motor that makes 85PS and 54.6Nm and comes with a soundtrack to die for. There are several reasons to like the big 600. It is a friendly motorcycle to ride around. It can hit 100kmph in 5.4 seconds and do a top speed of 189kmph which is not slow by any means. It doesn't deliver large chunks of power that require Rossi-esque reflexes to control. It doesn't handle all that badly and did I mention it sounds so good? But there were some chinks in its armour. Firstly, it made all its power too high in the rev range which is a bit annoying if you're used to the newer big bikes. Secondly, it needed too much hard work to make it do what you want. 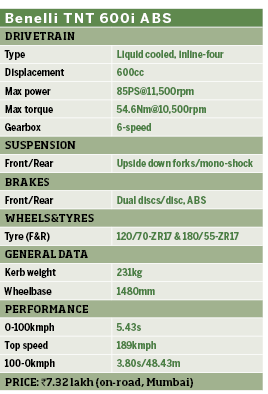 Steering required a lot of effort and at 231kg, it wasn't light by any means. And last but most importantly, it didn't have ABS and the brakes weren't very good at shedding speed quickly! 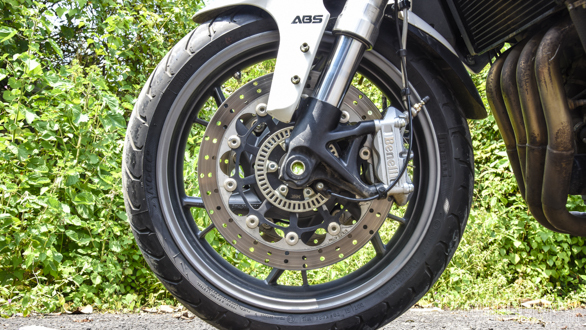 Now you may call this nitpicking, but at OVERDRIVE, we're all at a stage in our motorcycling life when we feel the omission of ABS on any motorcycle is a serious problem. This becomes more so in the case of higher capacity motorcycles. And a 600 without ABS was just wrong. But not anymore. 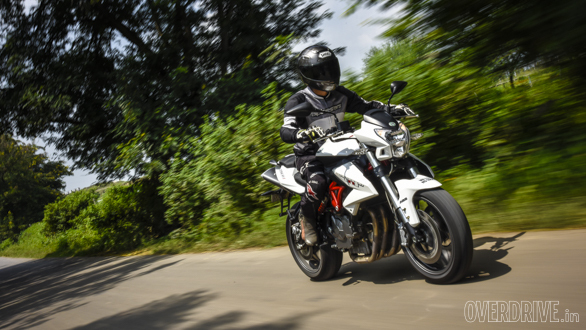 The 2016 TNT 600i now gets ABS and, hence, a big cheer from all of us. So how big is the difference, really? I remember the old 600i to be a bit of a problem child when it came to hard braking. We've always had problems with the motorcycle. This includes a sudden loss in braking pressure too. Imagine trying to brake from 100kmph and suddenly realising you have very little brakes left! Scary, yes! The new bike does a lot better in this regard. It comes to a standstill from 100kmph in 3.80 seconds within 48.43m. So the ABS works well. But after a few high-speed braking runs, I'm disappointed to report that the loss of pressure happened again. The feeling is a lot like what you feel with air in your brake lines or the kind of fade you feel under hard riding when you don't have braided brake lines. Thankfully, the brakes still worked and brought the bike to a stop, but the feeling is definitely not confidence inspiring. The fact that this same problem has surfaced on two different test bikes  one without and one with ABS  is a little worrisome. 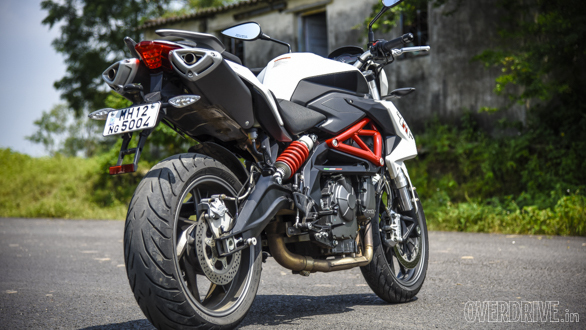 So while the addition of ABS is a welcome change, Benelli still has some ground to cover on the braking department of this Rs 7.32 lakh (on-road, Mumbai) motorcycle.